Gruhapravesam is the set of pooja ceremony that is performed for the new home or before entering into the home for the first time. 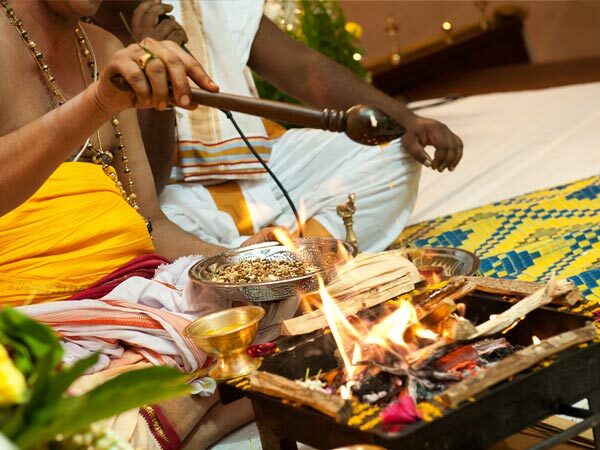 It is the famous process of removing negative energy occupying the home and helps one to move to the new house without any troubles and removes the drishti. The important part of the Griha Pravesh rituals is the Gho Pooja, Ganapathy, Navagraha & Lakshmi Homam along with Vaastu homam. Once the Homams are completed the milk is let to boil and overflow the new vessel as a good sign in the new house. Once the Griha Pravesh rituals are performed, a pumpkin (Poosani) is used to eliminate Drishti from the new house. When is Griha Pravesh Performed? It is performed on a Muhurth date as per the Star of the Wife as main thing and the husband’s as second thing or owner of the house. It is mostly done on the Shukla Paksha period of the moon and the hours are fixed on a lagna.